It's my favorite grand slam of them all, and I always imagine what it'd be like to be there, watching matches on all of the beautiful grass courts, wearing sunhats and flipping through shiny brochures of London. 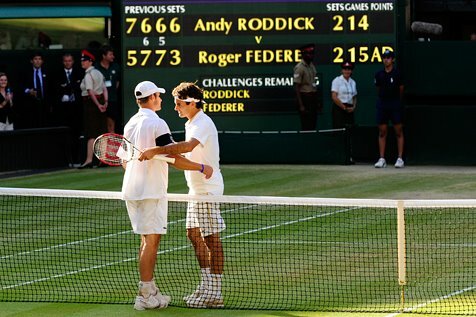 I'd love to see Andy Roddick win, and if you missed his match against Roger Federer yesterday, go here here and here. SUCH a fabulous match. Federrer is such a class act! He is. So is Andy, it was a great day for tennis.